I've spent the first 15 years of my adult traveling life clocking crazy mileage while road-tripping domestically. I wouldn't trade anything that's come so far. However, I kinda sorta got the urge (and the opportunity) to do what my father and three sisters have done so much more of: see the rest of the world. It's not that I've run out of dream destinations at home, it's just that there's a whole lot more on Planet Earth to experience as well. So I'm going to Vietnam in less than a month. Now that reality has sunken in again, my apprehensiveness has begun solidly turning back to excitement. While Asian destinations were admittedly low on my long-time bucket list (hello, New Zealand, Scandinavia, Canadian Rockies or anywhere with tall mountains), the opportunity arose and was too good to pass up. This will be one of those trips with some business involved, but also one with plenty of side opportunities to broaden my horizons and experience. But here's where I need your expert help. What am I getting myself into? What do I need to know? What are the can't-miss sites, sights and eats while I'm there? What should I make sure to pack, but what might as well be left at home? 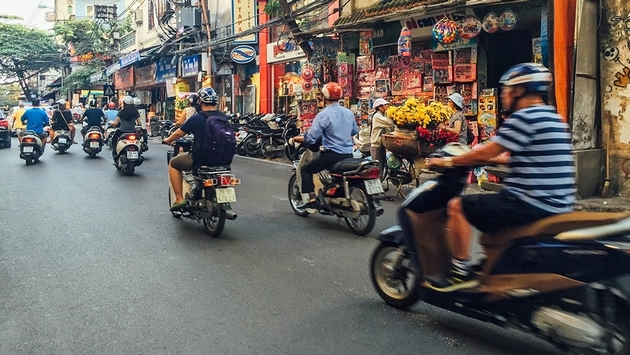 What's your advice for a first-time traveler, either to Vietnam in general or world-wide? It's time for hacks. Lemme have 'em in the Comments section below or @CordesTravels on Twitter. Joel Cordes is Managing Editor for TravelPulse. An avid road-tripper, basketball fan and history buff, he is also a former teacher, sportswriter and broadcaster. Joel joined Travel Pulse in 2017 after more than seven years as an editor and writer coach for Bleacher Report. He lives in Michigan with his wife and three sons while mentoring the Travel Pulse writing staff. He'll take mountains over the beach any day.